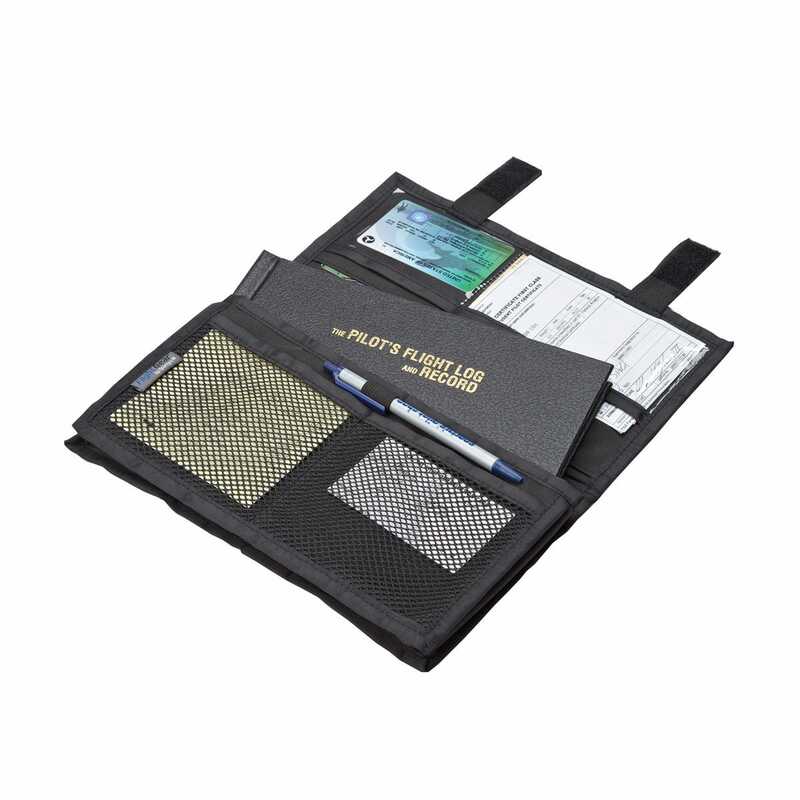 A great way to protect and store your Pilot’s Flight Log as well as organize pilot credentials and aeronautical charts. 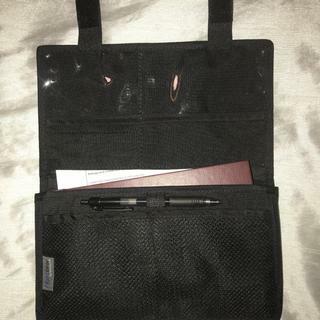 Our small case is designed for our Pilot's Flight Log and Record but accommodates logbooks up to 9"l x 4 3/4"w. Features pen/pencil holder and two vinyl windows for pilot's certificate or medical. Embroidery Instructions - Sporty's® will embroider up to three initials on your Flight Case/Organizer for an additional fee of $9.95. Embroidery is white thread only. Place embroidery instructions - up to three initials - in Item Message Box. More user friendly size-wise than the bigger one. Big enough for the log book and other documents. I needed a small pouch for my logbook, rating certificate, insurance certificate, etc. and this just fits the need. Pleased with the purchase. It holds everything. It is just the case and does not include the log book but that was my oversight. It holds my licenses and business cards as well as other items. Great item for the price. This item works great! It fits everything I need it small and convenient. I purchased this for my wife that has just started flying. I added the custom embroidery and it still shipped same day! Its perfect for storing all your flying credentials, and it small enough to fit in a small flight bag.She really liked the gift! The only bad thing is that I now want to replace my organizer that I purchased from Sportys in 2002 with this one! Great for keeping everything in one place for a “not everyday pilot”. As a new student pilot, I was throwing my logbook into my backpack along with my books and headset. I didn't want anything jamming into the logbook pages and fouling it up. This was an inexpensive purchase and perfect for what I wanted it to do. The logbook fits nicely in the interior pouch and my student pilot certificate fits nicely on the other side. 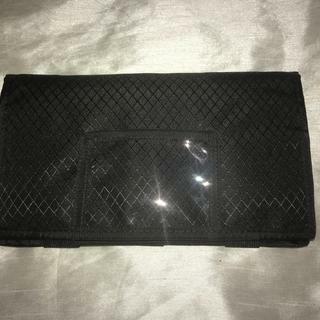 It also has places for credit cards or business cards and mesh pockets for odds & ends. It is perfect size to hold logbook and other small items. It is exactly what I wanted. Is there a place in the small flight log case organizer (other than the license) for the medical certificate? 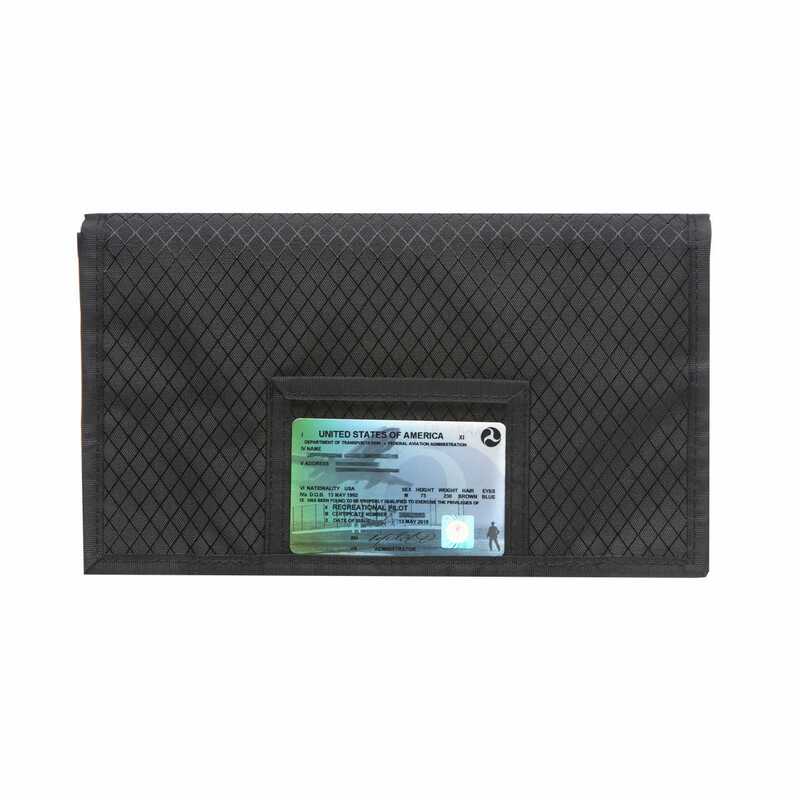 BEST ANSWER: The organizer does not have another pocket other than for the license. Will this flight log case hold a logbook 9" long X 5 1/2" wide.? BEST ANSWER: No, the case is only 4 1/2 wide. I bought the "large" Flight Log Case/Organizer from Sportys and it's still holding up fine after 25 years! But I need something smaller. Can you give the compete dimensions for both the "large" and the "small" organizers so I can compare? I need to know if the small one will fit in a particular pocket of my flight bag. BEST ANSWER: The large organizer measures 11.5"L x 7.5"W. The small organizer measures 9"L x 4 3.4"W.
Is the case large enough for the Sporty's Professional Logbook (the big logbook)? BEST ANSWER: This case holds the smaller log books perfectly but will not accommodate the a Pro Log Book. there is a large size that accommodates the pro size.